Featured Pages: Webman's Diary This page about web is for you, webmaster. If you are not yet one, you will be some day. 2003: now I have two web directories -- one for Film-North, another -- for vTheatre -- go there! * one act fest 2007 sum -- web an academic service ? Notes : anatolant.tumblr.com where all my blogs posts are! 2006-2007 video clips... read webblog : only now, after 10 year of webbing, I feel that I am getting comfortable with my own pages [ as a user ]. "Things" are getting in place. I don't think that web-readers feel the same. I wish the pages were in this shape 10 years ago. I had to think twenty years ahead of time? ... how? Yes, now each Directory has it's own doorway page in the root directory. This one is about WEB. Originally I built my pages to store the texts. But what is the point to keep your data in public space without making it "public"? I was a while ago. I do everything online nowadays. Why? Simple. It's easy. Easy for me. Paperless. I can access to my texts from everywhere and any time. I write every day. And -- I am sorry that I do not have enough time to place my old archive on the web. I am sorry I have no time to learn more about many wonderful language of the Web. When you do everything online, you are a webmaster -- and you better have webpages about webbing. For yourself and for brothers-webmasters. I try to stay simple, the days of graphics and sound files are over. Texts -- the content is the king! Also, I am not a portal. 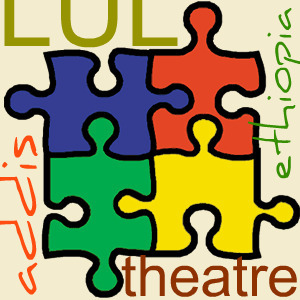 There are many broad organized Theatre sites, my pages are limited to what I teach and write. Even the web directory became a book! So, my webbing is to support the texts. Yes, there are "webmasters only" pages, but again -- only my personal observations. Mostly about what not to do, if you are a webmaster. The most important: if you are not an organization or business -- forget about making money with your website. At least for a while. This is a full time job and only if you are ready. I began my webpages in the Summer of 1998, all as "personal pages" -- now I am between two worlds. When you get over 100.000 mark in visitors, you are getting professional. What does it mean? It means that your site becoming "commercial"!